Today makes my 4-month anniversary for keeping my commitment to blog every Wednesday. I must admit that I did not think that I could do it, but (YAY) I did! 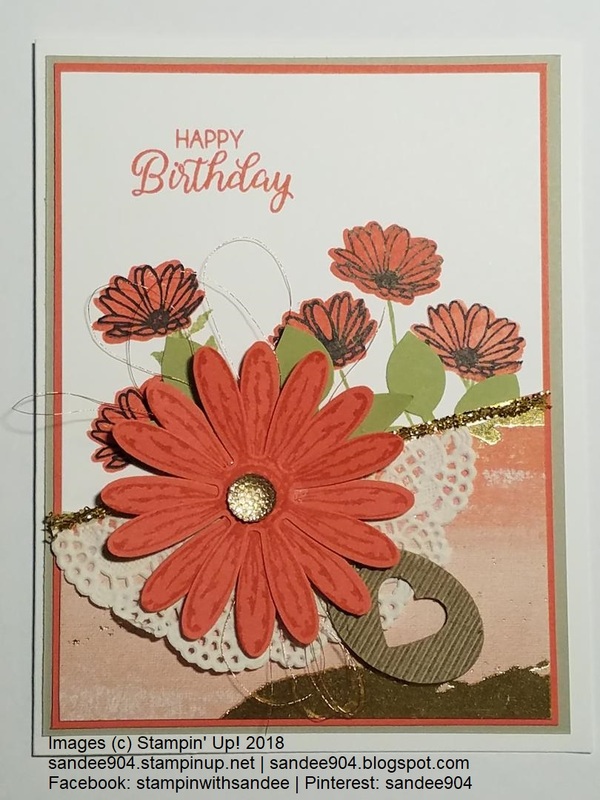 I have kept the basic design of this Daisy Delight card yet changed up the ribbon, the leaves, and the sentiment. I am going to be so sad to see the Painted with Love DSP retire - that little bit of gold splashes. So yummy. You might notice that I ran out of the heart shapes from the Corrugated Elements group. I used the oval shape and punched a small heart to keep with the heart theme. Leave a comment below with a method to reach you so I can see your creations with the Daisy Delight stamp set and Daisy punch. 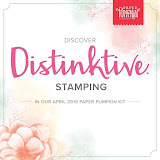 Share What You Love Bundles and Customer Appreciation: You have to go online to see the fabulous bundles put together for you by Stampin' Up! 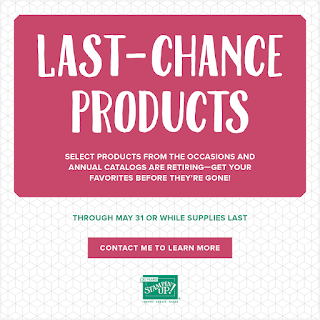 Please go to my online store at sandee904.stampinup.net. I have a new Hostess Code for the month of May (G7BUUGKM). Every order of $75 or more will receive a product share (sampling of several new, current product). The share will be mailed out the first week of June. 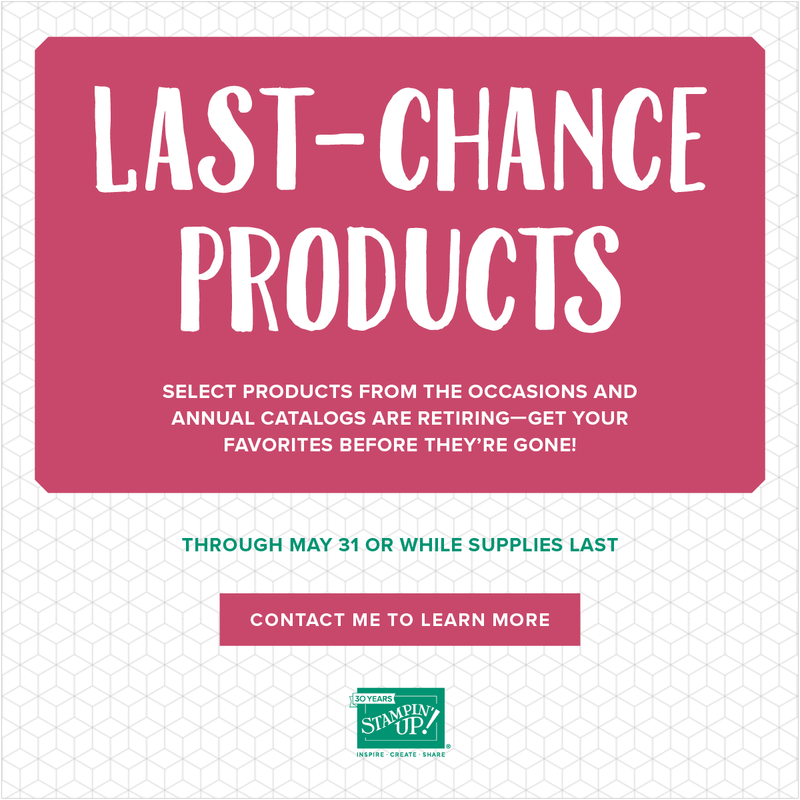 Reminders: 1) If you are a new customer, be sure that you do not check "no contact" or I will not be able to send out a product share to you and 2) if your order is $150 or more be sure to place your own order and take advantage of the Stampin' Rewards of your choice. Make sense? Of course, if you have any questions, please message me. 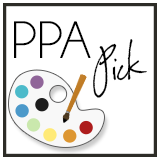 Creativity Starts with Paper Pumpkin. Before I forget, did you sign up in time for the May Paper Pumpkin at half price? Hope so. I would love to see what you have done with your kits.